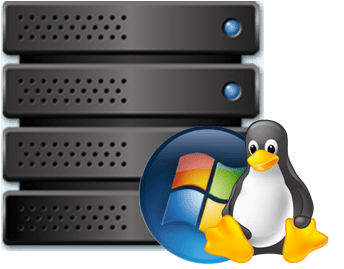 The web hosting business is a great way to accentuate your income stream without requiring hefty start-up capital or extensive operational channels. Owning a hosting business allows you to manage the websites, domains, applications and emails for your company and others as well and you can have your very own hosting company up and running within a day. You should have a high-performance computer or preferably laptop to allow your mobility in managing your operations from multiple locations. A high-speed broadband connection is another must, and it will be to your benefit in the long run to invest in the best one. You will also need to apply for a work license and incorporation papers on the legal end, along with a tax license if you are not already registered for one. A withholding calculator is good to have as far as incoming revenue is concerned. It will keep the government and your bank account happy. Select a private space in your home or existing office area to set up your work area. You will need to put in long hours in the beginning and a comfortable environment is necessary to avoid exhaustion and keep yourself motivated. An internet enabled smart device will also be of immense assistance in receiving emails and calls on the go apart from a dedicated connection and preferably a fax line. Once you have the basics done, open a bank account with your company name and sign up for a merchant account and gateway software for accepting online transfers and credit card payments. Datacenter for smoother communication between line departments (accounting, support, security and maintenance). It isn’t mandatory but their ability to monitor and work within their own company to perform all functions of service saves you time and frustration. Consider the payment options and what fits your budgetary requirements. Set up a prototype site to get the feel of the operational line-up and understanding the software to manage tickets, accounting and your control panel. You can use the panel to simultaneously manage multiple clients. Your clients will be provided a control panel of their own in order to make changes and upgrades to their websites. Once a customer is logged into their control panel, they can control sub domains, email addresses, passwords and much more without requiring any assistance; however some clients have limited know-how and they will depend entirely on you for setup and modifications. The plus point for you here is the premium charge for providing such detailed service. Your pricing strategy should be set according to market benchmarks, your resource cover and service offerings e.g. SSL certificates, unlimited storage and/or bandwidth.